A key foundation of better science is better catch monitoring. Inadequate catch data is the Achilles heel of the groundfish fishery in New England – particularly with cod – and the only way to improve this in a cost-effective way is through a comprehensive monitoring system that uses video technology. It’s troubling that in the year 2015 – in this era of climate change and cod crises – we still have no complete idea who is catching what, how much they are catching and what is being tossed back into the ocean. Scientists and managers are operating in the dark and this has severe implications when you consider the information obtained through an effective monitoring program is essential for both science and management decisions. And it’s not just for decision-makers – better information through fleet-wide monitoring helps level the playing field and gives a complete picture so that fishermen, too, can better trust what decisions are being made, and why. Distrust of science and management is one of the greatest plagues facing this fishery. 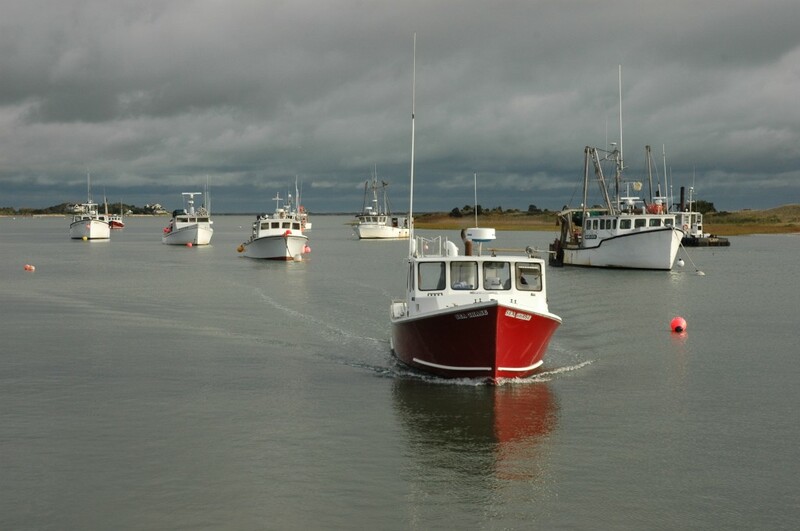 Every year, according to the National Marine Fisheries Service (NMFS), taxpayers spend $9.3 million on the current human observer program for the New England groundfish fishery. Despite that hefty price tag, the program only covers roughly 20 percent of vessel trips. We do not have the luxury to tolerate an inadequate system only giving us a fraction of the picture. We need to monitor the entire groundfish fleet, but an expansion of the current program would be too expensive. That is why Environmental Defense Fund has called for 100 percent electronic monitoring (EM) of all vessels in New England. While we recognize that some level of human observers will be necessary to collect some types of scientific data, EM is the best option to produce accurate catch and compliance information in a cost-effective manner. A monitoring system that relies primarily on electronic monitoring, if designed well, can provide a more complete picture of what is happening on the water without expanding the budget currently set aside for monitoring. EM can record fish caught, discards and enhance compliance with reporting. Through improved and more efficient monitoring, NMFS and the Councils will be able to make more informed decisions, leading to more stable and sustainable fisheries. This is good for business and conservation. There will be important investments up front in the development of an EM program and in the technology itself, but once those are in place and an EM program is designed accordingly, we can monitor 100 percent of the fishery for roughly the same amount of money it takes to monitor 20 percent of the fishery with the current observer-only program. That is a dramatic improvement for a minimal investment – and we cannot afford to pass it up. When it comes to electronic monitoring programs, cost is all in the design. While no two fisheries are the same, and therefore no two EM programs will cost the same, there are existing examples of EM systems around the country that offer some sense of cost savings. Take for example the EM programs that were on the water between 2004-2011 in the Pacific for the whiting midwater trawl fishery. Researchers there saw an average annual cost of $254 per sea day as a result of these programs. There is also British Columbia’s hook-and-line groundfish program that had an even lower cost of only $194 for each sea day. The cost of the current human observer program in New England, by comparison, exceeds $800 per sea day. The New England cod fishery has been declared a disaster and is facing an uncertain future. The critical next step towards sustainability is implementing an EM program that will help us understand what is happening in our local waters. If we want to save the fishery, a reasonably-designed electronic monitoring system, one that meets our scientific and management needs, must be implemented as soon as possible. EDF is ready to help in every way we can to make this a reality. This entry was posted in Domestic, New England, Science/Research and tagged Climate change, Cod, data, Electronic Monitoring, Monitoring. Bookmark the permalink. Both comments and trackbacks are currently closed.